Sometimes higher studies can often be a costly adventure to commence. Academic fees, other related expenses make it difficult for many students to even think of a professional degree. However, some among them are so brilliant and show so much potential to grow. Have you ever faced such a situation? Or do you have any friends from these circumstances? With a warm vision to assist talented students, IGNITE is aiming to embark with a goal to uplift students from poor families in their academic skills. We want to help them to cherish their dreams. We are conducting NATA scholarship exams for students seeking an architectural degree. 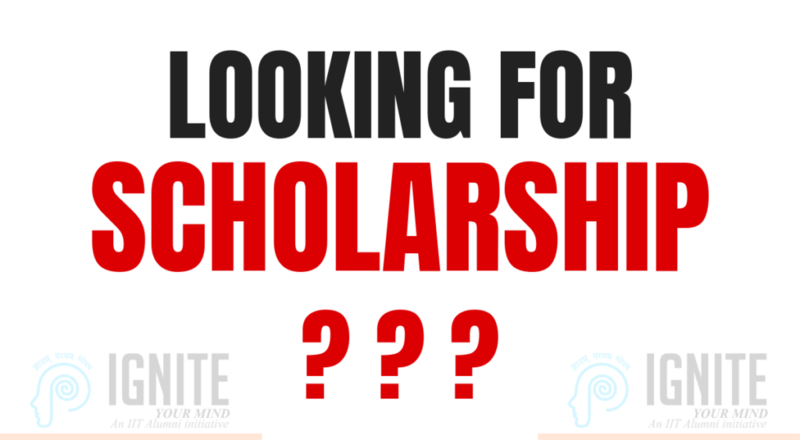 We are expecting to provide scholarship amounting Rs.100000 considering the high scores of the exam we conduct. We offer full course fee as scholarship for 5-year architectural degree for our students acquiring top 5 ranks in KEAM exam. We also provide an Apple iPad for our students who secure top 100 ranks in JEE exam. The label ‘Merit Scholarship’ have a real allure. We think that along with the financial support it can give them, a confidence to conquer great heights. They start to compete and win the scholarship – It will help them in exploring new things with their maximum potential. They assess themselves with the worth of scholarship – What they are awarded the scholarship can make them proud and will create self-esteem. Continue to work hard to achieve goals with the opportunities they have got – These achievements will make them retain their status and they continue to work as before. Kerala Engineering Architecture Medical is prominent entrance exam conducted by the Government of Kerala for candidates seeking admission to various professional degree courses in the state of Kerala. The National Aptitude Test in Architecture (NATA), is being conducted by National Institute of Advanced Studies in Architecture (NIASA) which is an apex body of Council of Architecture, New Delhi in India. The National Aptitude Test in Architecture is a national wide entrance examination for students seeking admission to undergraduate courses in Architecture. The test weighs the aptitude of the candidate for a specific field of the academy. The sessions covered are skills in drawing and observation, sense of proportion, aesthetic sensitivity and critical thinking, and also the special qualities that have been obtained over a long span of time and that are related with Architecture. The candidate who wishes to apply for the exam should successfully complete their higher secondary education with a score of 50% or more in Physics, Chemistry, and mathematics for individual subjects. And should have also achieved an aggregate mark of 50% in plus two examinations from an established board. We have 3 Sunday batches, and 2 repeater batches for NATA exam. The classes commence at 9.30 and will wind up by 4.30. *We can assure excellent result of our students – Exam oriented coaching has been given to our students to make them achieve maximum scores. *We have faculties with vast experience – We have professionals with vast experience to render the best classes for every academic discipline. *Individual attention is given for all – Each student needs individual attention to clear their doubts. *Crack your exam with tips from experts – Our faculties will avail our students with tips to crack the exam from their vast knowledge. *Training given with exam oriented modules – From the vast syllabus, our faculties can teach you on focusing on the important question and they will teach each module in an exam-oriented pattern. IGNITE has become a leading educational institution in furnishing the ideal classes for architecture entrance exam in Thrissur and we provide our students with the frequently modified modules in an exam-oriented pattern. Attributing in education with high standards is our prime vision. We are really happy to see IGNITians sharing their success stories with others. IGNITE was founded as an initiative by the alumni of IITians. IGNITE provides coaching for many different academic disciplines. Are you passionate about acquiring a degree in architecture? Join us for the best coaching in NATA and appear the entrance with confidence.